Mechanical Precision has a total of 12 CNC Turning Machines. We can handle parts that range from small to large. Our largest capacity can hold a piece up to 15" in diameter and 40" long. Their tail-stocks can handle shaft work as well as chucking. Our smaller machines are equipped with 6" chucks. 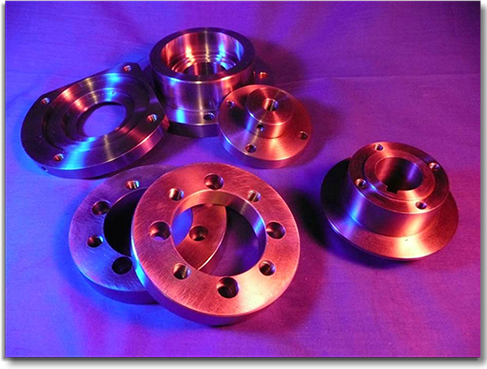 We can make parts efficiently in either short or long runs.